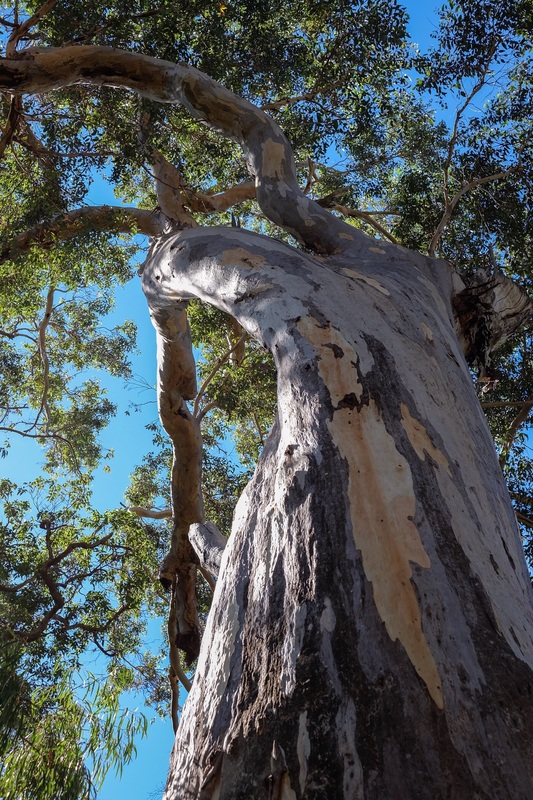 The second half of our road trip to Western Australia’s south took us along the Margaret River Region, from Augusta in the south, to Yallingup in the north. It’s the part of Western Australia where the Southern Ocean meets the Indian Ocean, so there are lots of waves, making it a haven for surfers. 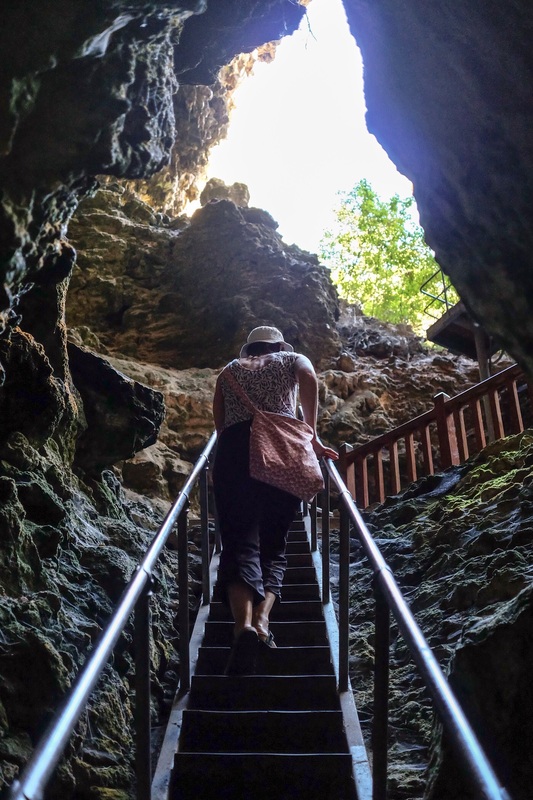 We didn’t get a chance to hit the beach, preferring instead to stay inland and visit two of the areas biggest limestone caves – Mammoth Cave and Lake Cave. 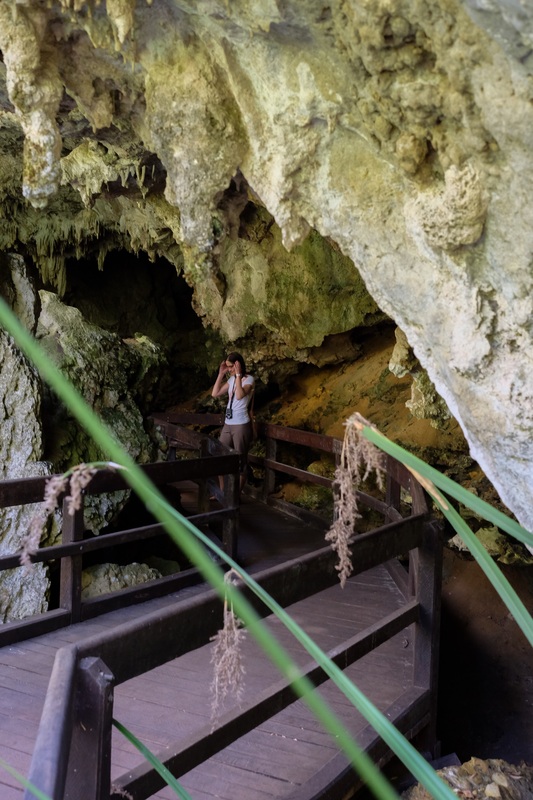 There are over 100 limestone caves in the area, only eight of which you’re allowed to visit. The caves took about 2 million years to form out of sand and rain water, their insides carved out by underground rivers in many cases, with parts of them collapsing over time to form their openings, or dolines. 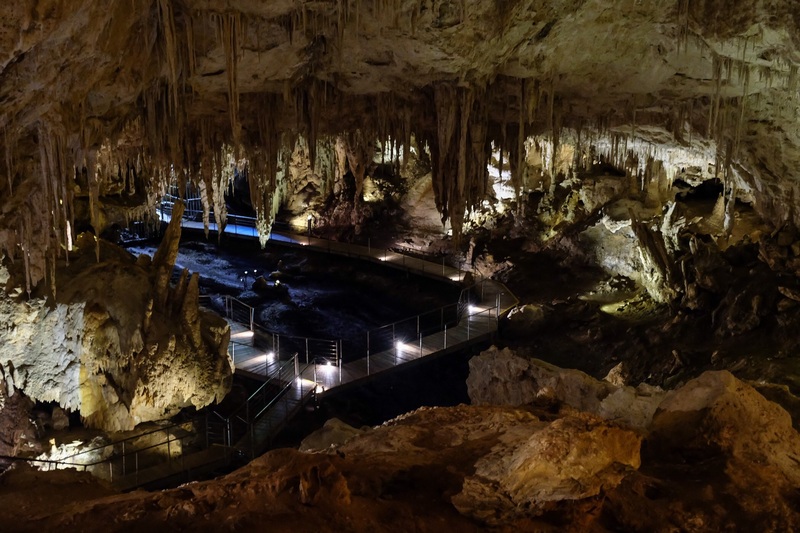 Mammoth Cave is just south west of the town of Margaret River, on the aptly named Caves Road. We all got headsets so we could hear recordings along the way that described the different parts of the cave, a little about its history, and geological details. The name of the cave could not be more spot on. 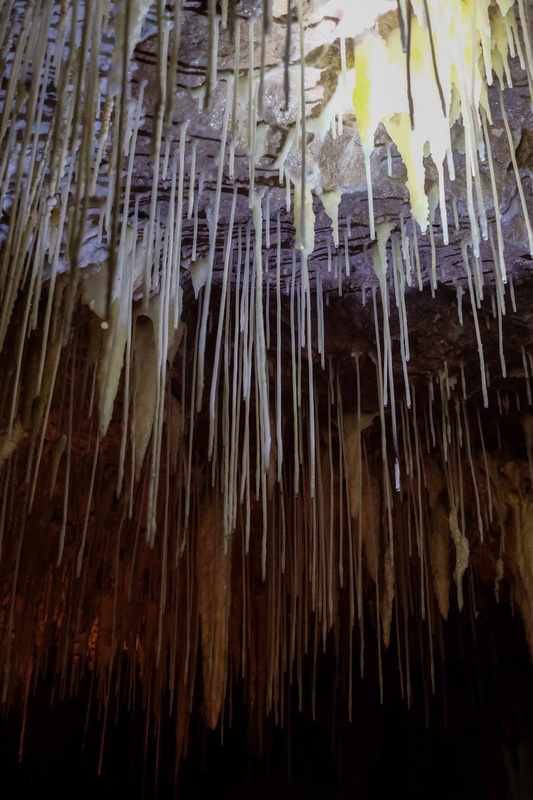 It is enormous, with stalactites hanging from the ceiling about 10 to 15 metres above, and thick columns and stalagmites rising from the cave floor all around. 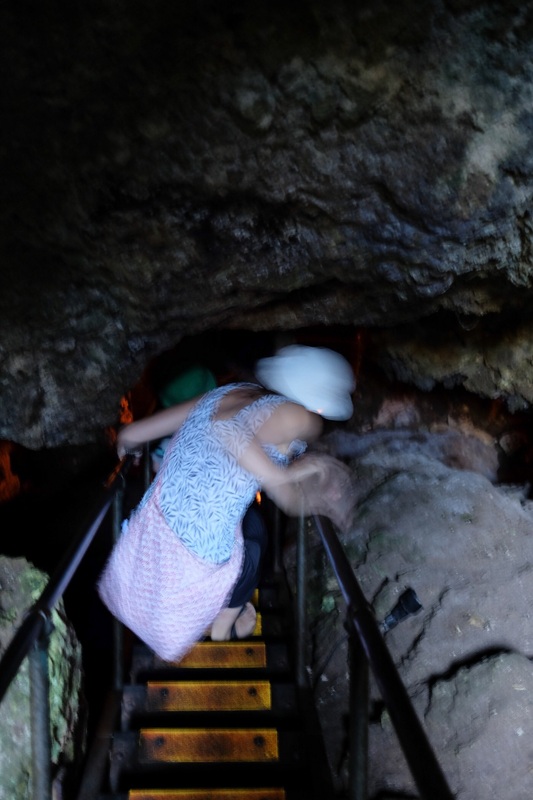 It took us about one hour to walk along the stairs, boardwalks and platforms that led the way through to the back of the cave and even with stalagmites and interesting formations and crevices all around us to marvel at, it was still tempting, if dangerous, to walk around the whole time while looking up at the vast ceiling above. It was so high! Mammoth cave is of huge interest because fossils of now extinct mammals have been found there, including a distant but oversized relative of the wombat, called a Zygomaturus trilobus, that died out about 45,000 years ago. Fossils of Tasmanian tigers, giant echidnas, and small-nosed Kangaroos were also found in Mammoth Cave. Samples of the fossils are on display about half way through the trail, but Rowan was more interested in looking at the interior of the cave than anything else. At the half way point he asked if we could go and see more caves. The trail leads outside into a forest of Karri trees. Karris grow to between 30 and 40 metres in this area, but some can reach 90 metres, making them some of the tallest trees in the world. Lake Cave is just a few km away on Caves Road, and is a very different, but equally impressive cave. The doline is huge and we had to walk down 320 steps just to reach the cave floor! Once there, our guide, Alan, led us along damp cement paths with stlagmites on the left and a shallow lake on the right. 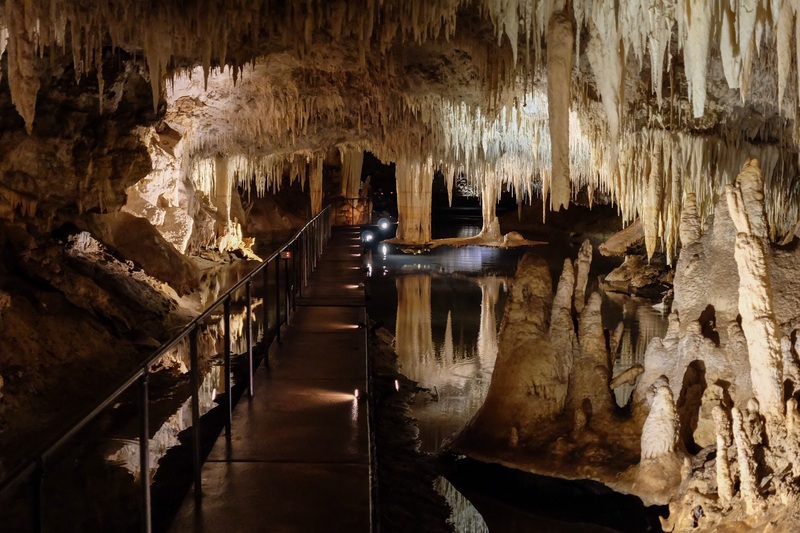 The water takes five years to flow through the soil, and layers and layers of limestone into the cave from one end along the floor, or though the “straw” formations on the ceiling. The cave is shallower than Mammoth Cave, with some parts of the ceiling only a few inches above our heads as we walked through it. Alan showed us giant beehive sized mounds, called flowstone, where the water methodically and continuously drips and deposits calcite, layer upon layer. He also pointed out thin, sheets of calcite deposits that look like draped fabric, and so are called “shawls”. At the back of he cave, we got to sit down on a long low bench, while Alan turned off all the lights in the cave until we were in complete darkness. Then he lit up different formations in the cave one at a time including the largest “table” in the world. The table is formed when a stalactite joins the floor or stalagmite joins the ceiling and becomes a column. Then the column and its base becomes detached from the cave floor because the floor has sunk over time, and the column’s base forms a flat surface that kind of looks like a table. The caves were very cold compared to the air outside, and smelled a bit metallic. A soccer ball-sized piece of limestone Alan let us hold in Lake Cave also smelled like metal (it was smooth and super heavy) and the air felt very wet and clammy. Other than some spiders and bugs that have crawled into the caverns, Lake Cave’s water also has small translucent (invisible) crayfish, but we didn’t see any. After climbing the 320 steps to get out of Lake Cave, we went back to our beach house at Gnaralup, just south of Margaret River to get ready for a yummy dinner out and a night’s sleep by the breezy coast.